Pioneers in the industry, we offer butyl rubber sealants and butyl hot melt sealants from India. 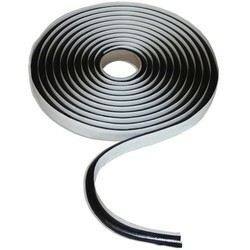 We are engaged in manufacturing and exporting of wide range of Butyl Rubber Sealant. Processed using optimum quality ingredients, Butyl Rubber Sealants are developed in adherence with international standards and norms. The sealants widely used in automobile, telecommunication, electronics, railways, construction, defense, shipping and other industries. These are also tested on various parameters that ensure their longer life and superior quality. We offer Butyl Hot Melt Sealants. ORPL – PB-20 is the resultant products of OSAKA’S very own strenuous R&D efforts, developed in the in-house labs, the product has proven to be an excellent input in terms of economy and usage. A special formulation of Elastomeric Rubber compounds lends the product with high tensile strength and lasting flexibility. Butyl Hot Melt Sealants (ORPL-PB-20) is a non-cured, easy to apply hot-melt sealant, it retains high plasticity and sealing properties through a wide range of temperature conditions, and exhibits an outstanding adhesion to most common IG materials as glass and aluminum. It has remarkable UV stability and weather resistances, as a result, surface hardening or cracking are non-occurrences; ORPL-PB-20 displays permanent plasticity with silicone and polysulfide sealants. It can also combine with other Elastomeric sealant materials to form an impregnable barrier to moisture, ensuring a long application life for insulating glass systems. 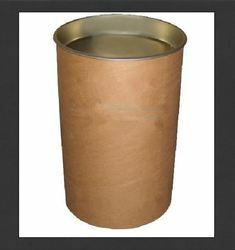 Moreover, it is resistant to chemicals, water and non-reactive, and also it is very eco-friendly. Note: The Prices of the product varies as per the drawing, design, dimension & specification of product.